The model is based on the theory that, for an organization to perform well, these seven elements need to be aligned and mutually reinforcing. The model can be used to help identify what needs to be realigned to improve performance, or to maintain alignment (and performance) during other types of change. 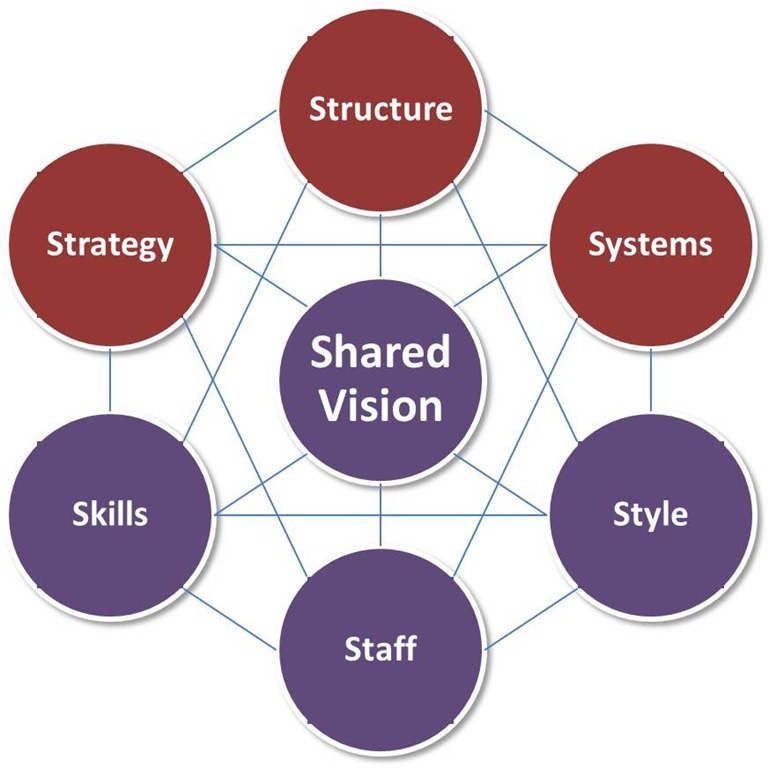 The 7S are structure, strategy, systems, skills, style, staff and shared values & vision. The model is most often used as a tool to assess and monitor changes in the internal situation of an organization. 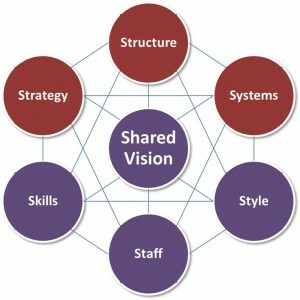 Whatever the type of change – restructuring, new processes, organisational merger, new systems, change of leadership, and so on – the model can be used to understand how the organisational elements are interrelated, and so ensure that the wider impact of changes made in one area is taken into consideration. The McKinsey 7S Framework is a management model developed by well-known business consultants Robert H. Waterman, Jr. and Tom Peters (who also developed the MBWA– “Management By Walking Around” motif, and authored In Search of Excellence) in the 1980s. This was a strategic vision for groups, to include businesses, business units, and teams. People ask me all the time what I actually do. Part of what gets me out of bed with a spring in my step is coaching. I offer a free 60 minute session to get some discussion going and to really understand what you want to achieve and be. Make contact some time – let’s start a conversation. How to acquire a leader´s most crucial gift. Influence has the power to change everything. Bestselling Author Joseph Grenny takes an analytical approach to revealing what it takes to generate behaviour and affect crucial change. 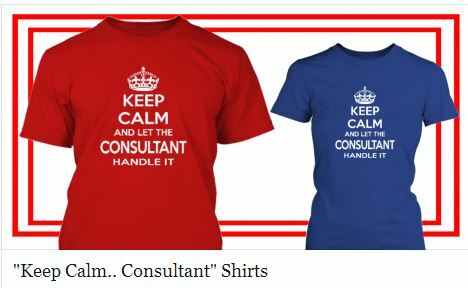 I laughed when I saw these consultant’s shirts. You can order them here.